As they say, "If you haven't got your health, you haven't got anything." Most of us probably don't realize that there's more to the subject than just diet and exercise, and how we use our phones can have an impact, too. Once upon a time, our work/life balance was separated by real, physical distance, but thanks to the magic of mobile phones, we can all carry our work home with us in the form of life-interrupting notifications. That's not to mention social media's constant dopamine drip, which keeps us all scrolling like zombies and wasting away the best years of our life envying the lives of Instagram "influencers," or learning random, pointless facts from Reddit. 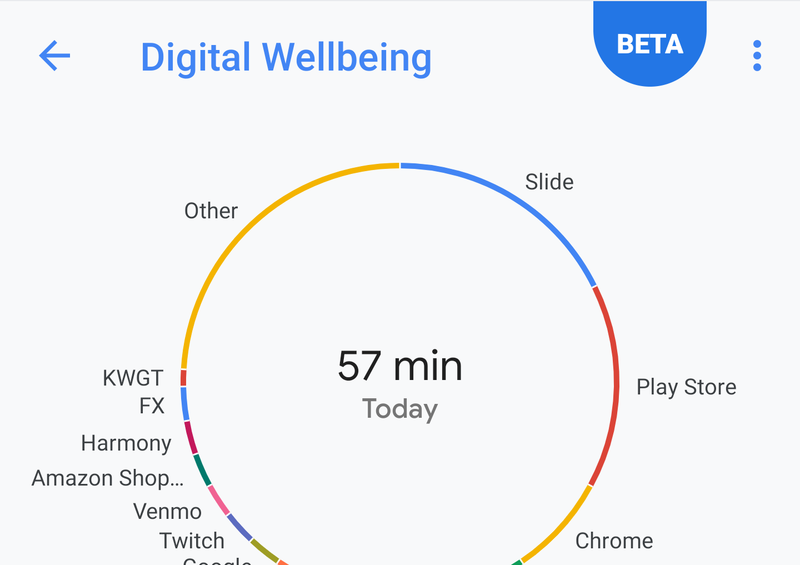 Today is P-Day, ground zero for the Android 9 phone invasion, but Google has an extra health-related surprise waiting with Pie's release. 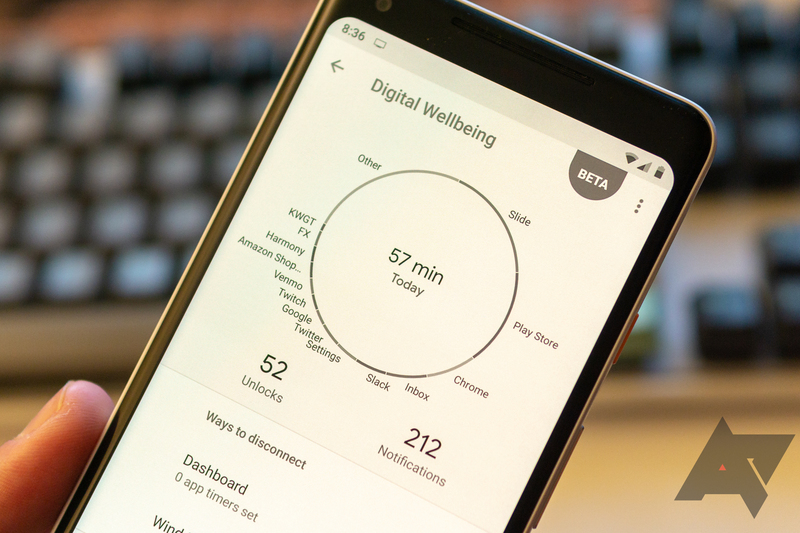 The Digital Wellbeing features shown off by Google at I/O didn't make an appearance during the Android P developer previews, but a test for the health-related tools has just launched. Interested Pixel-equipped parties can enroll in the beta starting today. You would think that Google wants you on your phone as much as possible. That's where it can sell you ads and services in order to make money — that's its bread and butter. Yet Google CEO Sundar Pichai made a surprising announcement at Google I/O today. Upcoming new features in Android are going to help you get away from your phone and spend more time by yourself or with your family. For months a small subset of Android users have been seeing a new dual-tabbed interface in the official Google search app's UI. The second tab, initially labelled "Dashboard" and then changed to an icon-only "Upcoming," is now official. Google announced the big change on its Keyword search blog, revealing that the feature should roll out to all Android users starting now, with the iOS version of the Search app following suit later. Fitbit's new dashboard design has been live on iOS for months now but our beloved Android platform was left in the cold waiting... and waiting... and waiting... and waiting for the update to come. Well, the wait is over — almost. 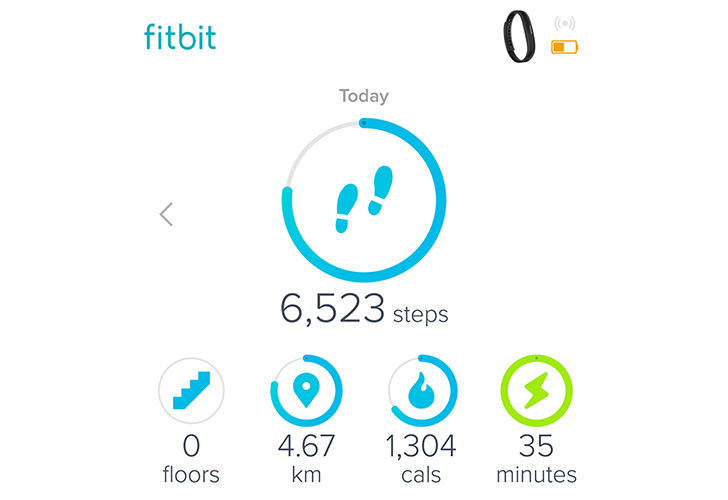 The Fitbit app has been updated on the Play Store and it includes a preview of the new Dashboard design. You will see a pink banner on top of the home screen offering you the option to try the new Dashboard. Once you tap it, you get a tutorial of all that will be changed with the new design. 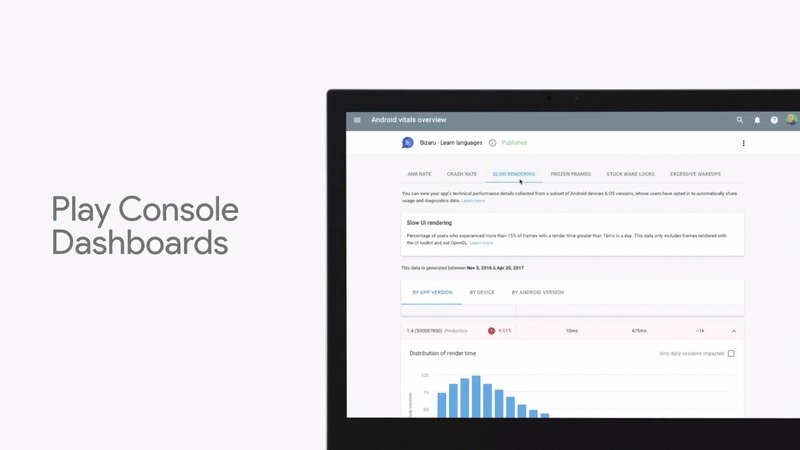 Back in August, Google started testing out a second tab in the Google app and Google Now (RIP), dividing content between the main feed and a secondary one called Dashboard. Over the past couple of weeks though, Google has been undergoing more tests with this tab and it seems that the team has now settled on a name and look and idea behind it. It's called "Upcoming" and the icon looks a little better than the previous one with the antenna. 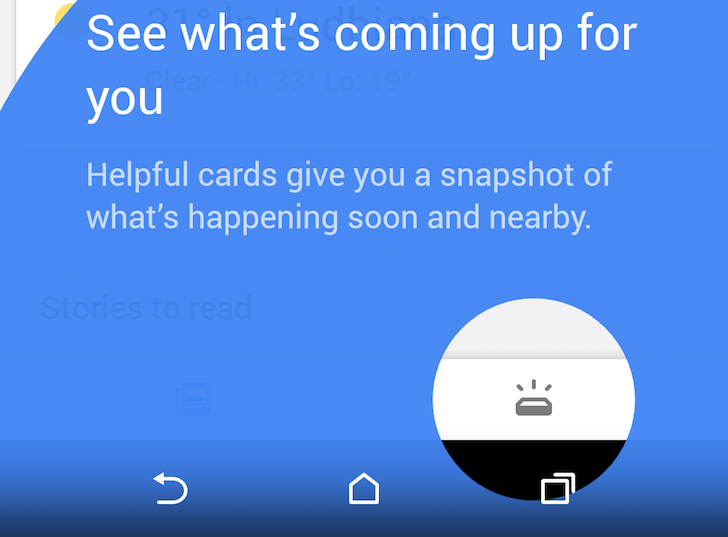 There's a new blue overlay in the app to catch your attention toward the upcoming tab and once you open it, you'll see a few cards detailing what content will show up there. Mankind loves to obsess over numbers, statistics, and data. 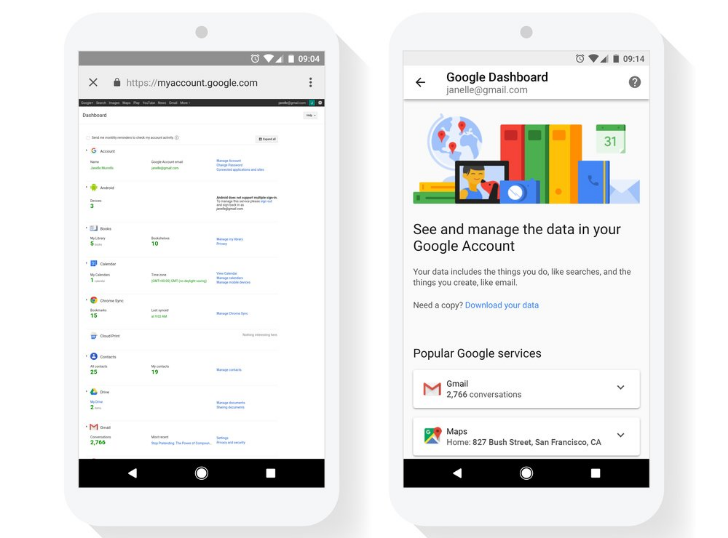 Ok, maybe not everybody is stuck on tracking every last thing that happens; but if you're reading this site, there's a good chance you're already checking your monthly activity reports each time Google fires off an email reminder. That addiction to numbers is about to get much more interesting. 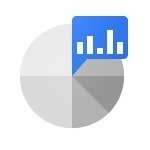 Google is merging the monthly activity report with Dashboard to produce a super-sized page full of facts and stats about how you're using Google's services. Very little has changed about the activity report since it launched 2 years ago. There has only ever been a handful of sections, and since updates were on a monthly schedule, the information wasn't exactly up-to-date.